What makes the Bradley Technique unique in our choices for dealing with our health challenges is that it was developed by a mathematician and mystic, Ron Mack. Scientific principles of Physics, specifically, those principles concerning gravity and energy, are at the foundation of his work. Ron's curiosity with life inspires him to have an ability to continuously develop new insights to healing. His continuing friendship with Jim Oschman, scientist and author is another great source of inspiration to him. In 1990, Ron was joined by his partner, Stan Palys, Physicist and Electrical Engineer, who has contributed greatly to the further development of the Bradley Technique, and who has now taken over the practice founded by Ron. Life yields a gradual accumulation of physical, psychological and spiritual traumas. These in turn, result in a buildup of stress patterns which may cause any number of illnesses. The Bradley Technique seeks to support our healthy patterns, while gently transforming unhealthy ones into those that are more productive and life enriching. Because all these levels are connected, your healing journey with The Bradley Technique may begin on the physical, psychological or energetic path. The choice is yours. A mathematical matrix consists of an arrangement of numbers that can be added, subtracted or multiplied — the whole matrix changes when you rearrange the position of a number. e.g. the matrix [1 3] is different from [8 3] is different from [1 2 3] is different from [8 2] is different from  or . 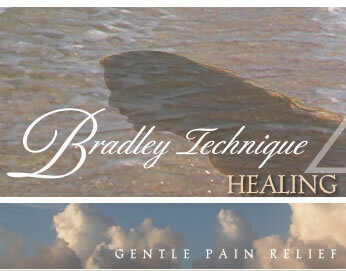 The Bradley Technique Healing Matrix, likewise, works with the individual's physical, emotional and spiritual components of the challenge the client wishes to address. So you can start on your own unique path with any modality, and each time you schedule a maintenance, it may result in a different combination of therapies depending on which therapies you have had in the past. Stan Palys and the client determine what therapy is needed or seems most appropriate at any given time. Knowing that whatever therapy you have at the time of your visit will shift your entire being in a direction of healing. How someone starts or continues the therapy is their choice. Ron works with your inner guides to learn about your unique life and needs. The Bradley Technique Healing Matrix incorporates different principals of the body. 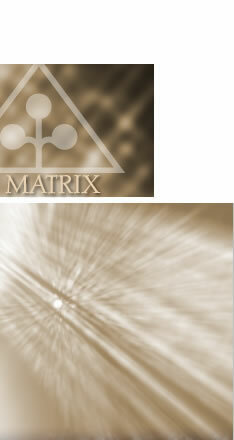 Ron will choose from the modalities offered to create your own healing matrix.